This print uses 3 of my little etching plates, two of which have been double-inked so that there’s a primary color in the actual etching, and a secondary red on the surface of the plate. The top two plates are both found objects of a sort, the smaller one is actually part of a larger plate that I cut up and kept pieces of to use in other prints. 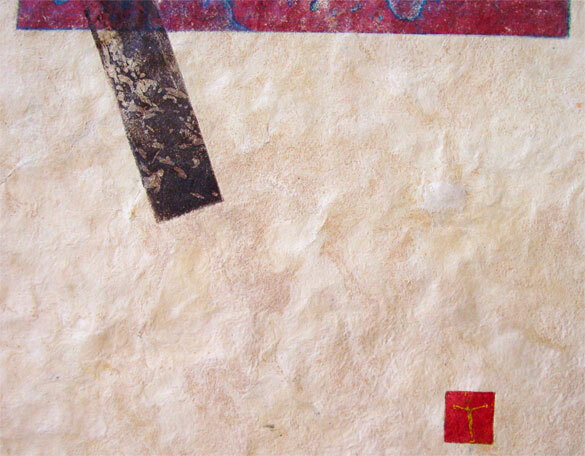 The paper has a beautiful texture of its own, lending an extra dimension to the abstract images, and giving a rich desert for the tiny cruciform figure to wander in. There’s a lot of meaning that could be inferred here, but this is one of those pieces that’s hard to quantify for me — I can talk about this technical aspect or that process, but the end result was something unexpected. There’s hints of stories and ideas hiding in the abstract, brought out by the smallest image at the bottom. 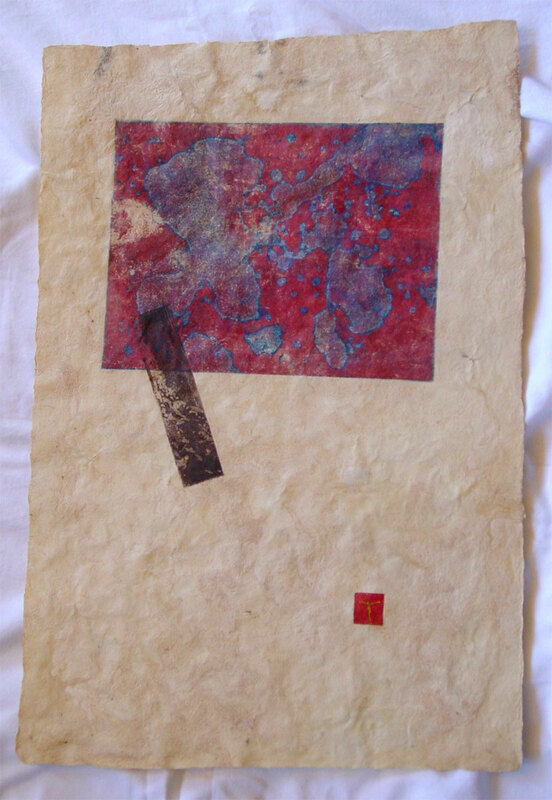 The Texture of Faith, 15.5″x23″ intaglio and monoprint on imported Mexican bark paper, $499 with free shipping.